Effortless Mastery: Liberating the Master Musician Within is a book for any musician who finds themselves having reached a plateau in their development. 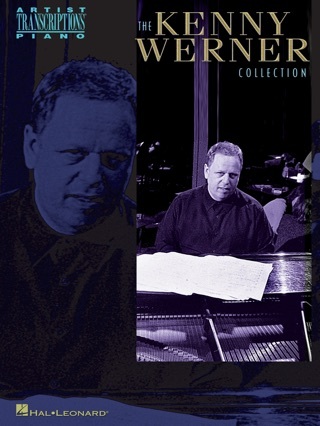 Werner, a masterful jazz pianist in his own right, uses his own life story and experiences to explore the barriers to creativity and mastery of music, and in the process reveals that "Mastery is available to everyone," providing practical, detailed ways to move towards greater confidence and proficiency in any endeavor. 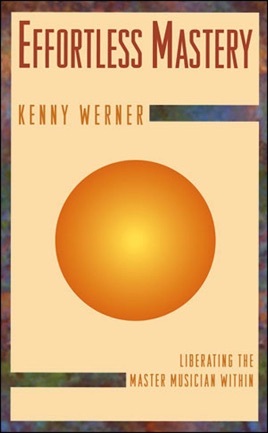 While Werner is a musician, the concepts presented are for every profession or life-style where there is a need for free-flowing, effortless thinking. Think of a song that resonates deep down in your being. Now imagine sitting down with someone who was there when the song was recorded and can tell you how that series of sounds was committed to tape, and who can also explain why that particular combination of rhythms, timbres and pitches has lodged in your memory, making your pulse race and your heart swell every time you hear it. Remarkably, Levitin does all this and more, interrogating the basic nature of hearing and of music making (this is likely the only book whose jacket sports blurbs from both Oliver Sacks and Stevie Wonder), without losing an affectionate appreciation for the songs he's reducing to neural impulses. Levitin is the ideal guide to this material: he enjoyed a successful career as a rock musician and studio producer before turning to cognitive neuroscience, earning a Ph.D. and becoming a top researcher into how our brains interpret music. Though the book starts off a little dryly (the first chapter is a crash course in music theory), Levitin's snappy prose and relaxed style quickly win one over and will leave readers thinking about the contents of their iPods in an entirely new way. This book is a functional text which will nurture the abilities of many musicians for generations to come. It prepares the student by exposing the "self" as the greatest obstacle to learning and guides the reader to overcome it. Though many of his thoughts, ideas, and experiences are both relatable to me as a musician, his logic and philosophy don't really hang together as a complete thought. This book helped me reach a level of excel in the sense of cents. Musical or currency? That's for you to find out...and when you do, please write a review because while I admire this book, I've not yet read it. So if you're going to rate it leave a dang review explaining the 5 or even 1 star rating you've given this. A 5 star review means it has helped you achieve incredible facility and creativeness. A 1 star meaning its practically fraudulent. Whatever your case, both are deserving of a review!! !